Cheers! Kampai! Chin Chin! Salute! Santé! Prost! Didn’t you always want to know how to say Cheers in six different languages? Well now you can: In English, Japanese, Chinese, Italian, French, and German. 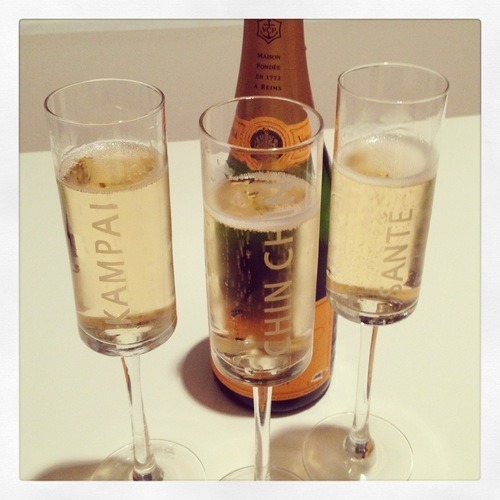 Cheers to you for helping us celebrate the start of our website Carlyle Avenue! When I say “us” I mean my joyful sister and me (see image below.) We decided to set up this site to bring to you unique pieces from around the world. We grew up on Carlyle Avenue in Southern California with a unique aesthetic. 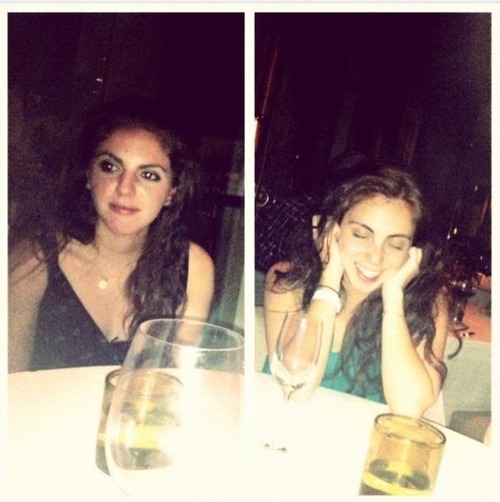 Roxane, on the left, is the artistic sister. Some of the lifestyle shots you may see throughout the site are drawn from her vision and her aesthetic. I, Talia, will be the one writing these blog posts dedicated to anything and everything that inspires, as well as highlighting some of the merchandise we have made available to you. 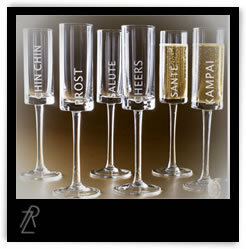 The collection of champagne flutes displayed below is just one of the items selected with care to exhibit on our site. It has been featured on Rachel Zoe’s The Zoe Report where it was described as ” the perfect must-have for the perpetual hostess”. These elegant, sophisticated flutes will enhance any event, whether it’s a girl’s night, a dinner date, pre-gaming, a wedding or simply a celebration of life and of living. Have fun exploring Carlyle Avenue!